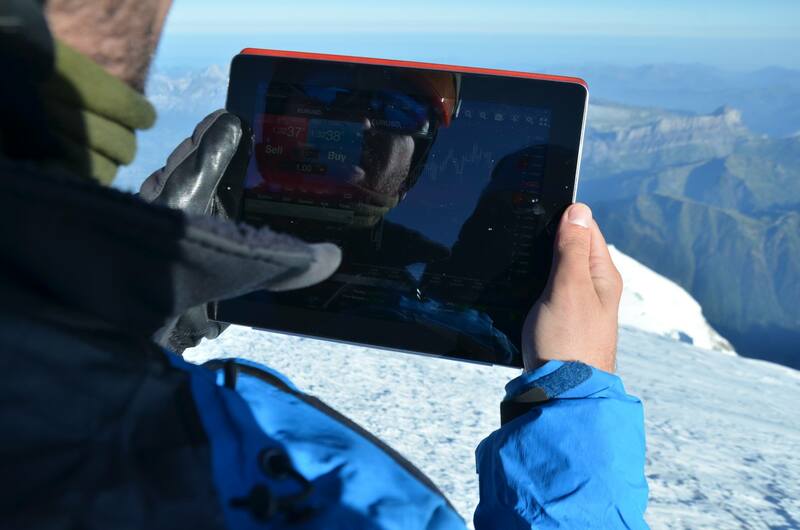 On the evening of Saturday 7th September, PGHM Chamonix received a call from two “climbers” in trouble. A man and a woman on the Frendo Spur of the North Face of the Aiguille du Midi, above Chamonix. The call was received in the late afternoon, thus rescuers were unable to take off with the helicopter service. The rescue team descended the route from the Aiguille du Midi (3842m) and brought the two climbers back to the Aiguille du Midi. 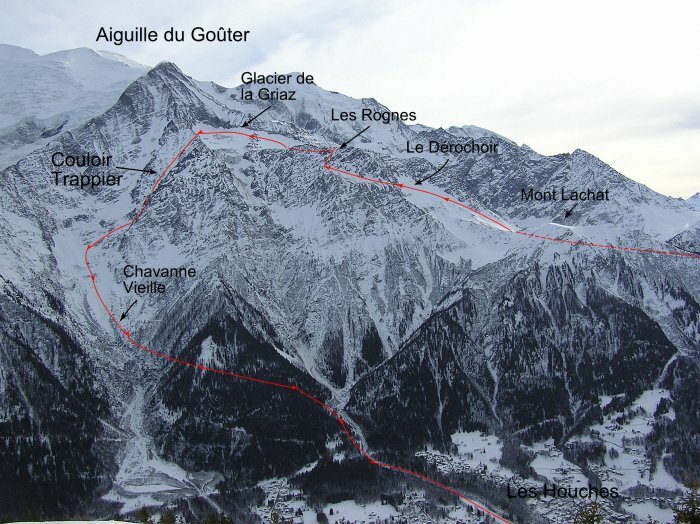 In compliance with Gendarmerie guidelines, the PGHM did not reveal the identity of the climbers. However, rummors were confirmed by messages posted on their personal Facebook pages. The two were Kilian Jornet, current holder of the Mont-Blanc speed record on foot and Emelie Forsberg, trail runner and winner of the World Championship in the Skyrace Series. Kilian Jornet and Emelie Forsberg both issued a message of thanks to PGHM Chamonix via Facebook. Kilian said, “now and then, the mountain reminds us that she is stronger … and everyday teach us lot of lessons!”. Emelie Forsberg, also via social media said, “Once again I got a lesson, the weather and the conditions set the rules, we play and the mountain decides. I’m nothing out there! Scary Saturday. Thank you thank you thank you PGHM Chamonix Mont-Blanc." Jean-Louis Verdier (guide and assistant in charge of security in the mountains, Chamonix) stated that, “mountain practice must be undertaken with adequate equipment so that one can face bad weather. I’m very angry when I see the continued rise of running shoes despite our prevention messages”. Guides are repeatedly angry as they meet more and more trailers in running shoes, as they follow Kilian Jornet and the example he gives, on the route up Mont Blanc. Climbers in running shoes, that follow the Catalan hero, are taking a great risk! "On September 7, I decided to climb a route on the north face of the Aiguille de Midi, the Frendo Spur, a route that I had climbed previously in light gear. I took all the necessary climbing equipment (for ice and rock), and we were on schedule to finish the route before the bad weather arrived. I was too short-sighted not to take more jackets and to think that the weather would be friendly. On the final rock face, we lost a lot of time, as we took the wrong route. This forced us to descend and take the good route. 50 meters from the summit of the Aiguille de Midi, seeing the weather degenerating fast, I decided that continuing the ascent could endanger my life and the life of my companion. I called the PGHM. They assisted us to the top of the Aiguille du Midi. I want to take this opportunity to thank PGHM Chamonix staff for their very professional and efficient mountain rescue work. This is a warning: ascending the mountain is difficult and, even if you are careful and meticulous with planning, it can be dangerous. We must be humble when climbing because even the tiniest error, especially when we take it easy and disconsider the possible dangers, can be fatal." Kilian performes regular climbing routes part of his project "Summits of my Life". The project is a personal challenge to break some records trying to climb summits quickly with very little gear, between 2012 and 2015. Source: Le Dauphiné Libéré, Kilian Jornet personal Blog and Facebook Page with additional reporting from the Chamonix Networks News Team.